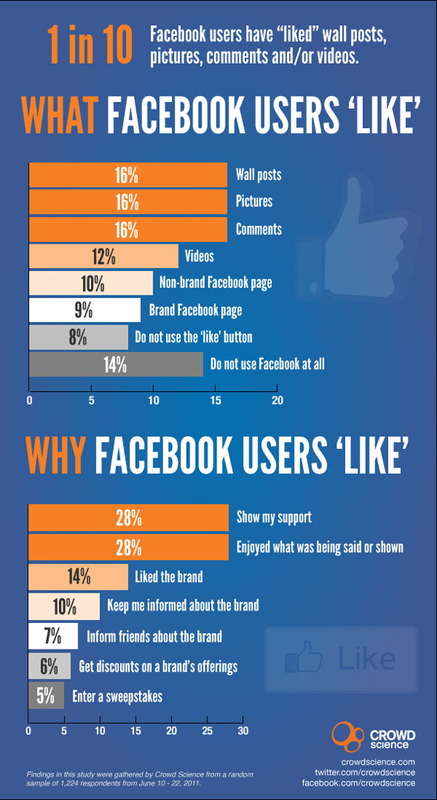 If you ever wonder what kind of content attracts more “Likes” on Facebook, this Infographic is going to give you an idea. What do you think? What kind of content do you “Like”? Do you follow brands online because you like them, to get promotions or enter sweepstakes? Share your thoughts in the comments section. This Infographic is courtesy of Crowd Science. Photo credit: jonkpirateboy.